The Beatles may or may not have visited famed disc jockey Murray the K at his Westport home in the 1960s. No evidence exists that they did, though several folks who grew up here then insist it’s true. But — 50 years after the release of the ground-breaking “White Album” — one fact is not in dispute: One of the songs was written about a Westporter. In 1963, 15-year-old Prudence Farrow was living in Los Angeles. Her father — director John Farrow — died suddenly. So Prudence’s mother, Maureen O’Sullivan — an actress, then starring in a Broadway show — brought Prudence, her older sister Mia and other siblings to New York. 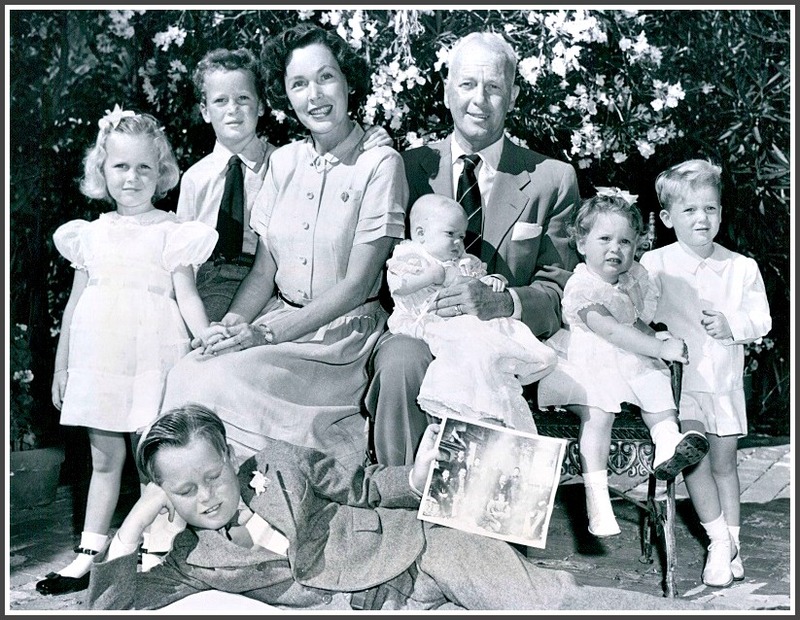 Maureen O’Sullivan and John Farrow with their children in 1950. From left: Mia, Patrick, Maureen, John holding Stephanie, Prudence and Johnny. Michael is in front. But Maureen thought it would be best for Prudence and the other kids to live outside the city. She rented a house in Westport, with a cook/caretaker. 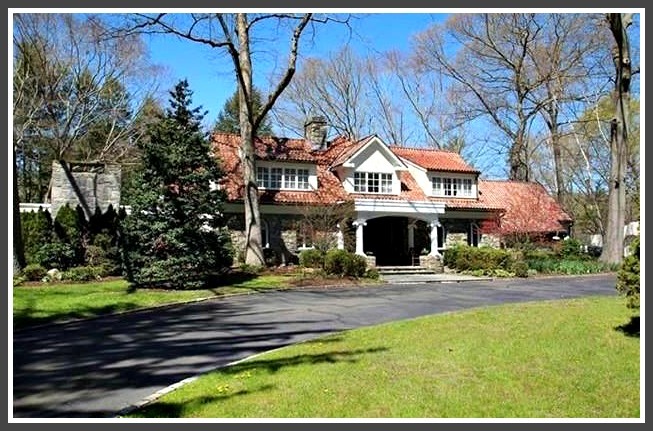 The 157 Easton Road house was well known: It was owned by Leopold Godowsky Jr. — a concert violinist and photographer who helped develop Kodacolor and Ektachrome — and his wife Frankie Gershwin, George and Ira’s younger sister who was a noted painter and singer. It was a beautiful house: 7 bedrooms, 10 bathrooms on 2.75 acres, with a boathouse, indoor pool, 2 bars, a wine-tasting room, guest quarters, tennis court, waterfalls, walking paths, and stone bridges. The Aspetuck River flows through the back yard. There was a lot of room to play. In her memoir, Prudence describes hiking in the woods, canoeing and skating on the pond, and playing with neighborhood kids. But apparently the caretaker did little taking care of her charges. “We briefly saw Sue for a few minutes daily” when she drove them to the bus stop, Prudence writes. But when her brother Johnny got his license — and a Porsche convertible — she rode with him the short distance up North Avenue to Staples. Prudence’s house — with the caretaker not taking much care — became the hangout. It was the place to go, on weekends, evenings, even during school. People helped themselves to food and sofas. There was always plenty of alcohol and drugs. She no longer drank, but continued using drugs and taking pills. The parties continued. Finally, in late spring of 1964, the police told her mother that “we could no longer remain in Connecticut unattended.” Maureen took her brood back to New York. But the actress soon departed on a national tour. Prudence and her siblings were once again left with a caretaker — this time in a Manhattan apartment. She dropped out of a private school, and got even more deeply into drugs. Finally — after a bad experience with LSD — Prudence found Maharishi Mahesh Yogi, and his Rishikesh ashram in the Himalayan foothills. She studied transcendental meditation. In early 1968, the Beatles were there too. John Lennon and George Harrison were assigned to be her “team buddies.” They too had experimented with acid before learning about TM. 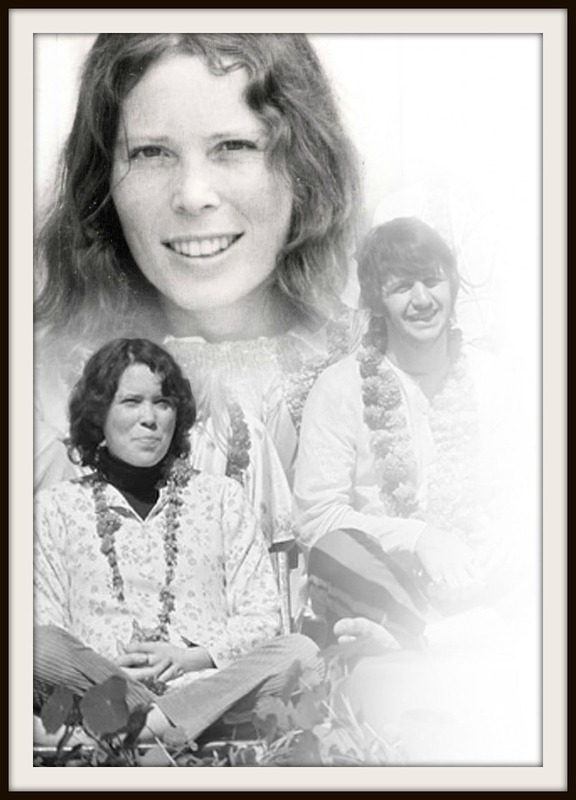 2 images of Prudence Farrow — including in India, with Ringo Starr. Deep in meditation, Farrow refused to leave her bungalow. The 2 Beatles tried to coax her out. Though Harrison told her about the song, she did not think much of it. And she did not hear it until the “White Album” came out. Prudence had another brush with fame. In 1981 she was near the end of a 3-year affair with New York real estate heir Robert Durst, when suddenly his wife went missing. Prudence taught TM for several decades. One of her pupils was comedian Andy Kaufman. She went on to earn a BA, MA and Ph.D. from the University of California, majoring in Asian studies. She worked in theater and film — including as a production assistant on The Muppets Take Manhattan. 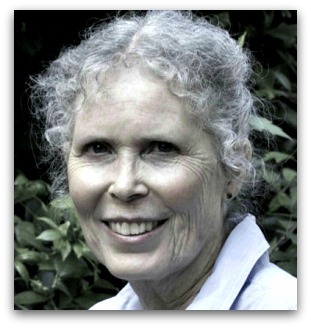 Using her married name — Prudence Bruns — she has written magazine stories on Asia, world religions and healthy living. She published her memoir (Dear Prudence: The Story Behind the Song) in 2015. And in 2012 she established the non-profit Dear Prudence Foundation. It raised funds for a documentary film about an Indian festival. There is no record that the Beatles ever visited Westport. And there’s no reason to believe Prudence Farrow ever returned here, after moving in 1964. But the song imploring her to open up her eyes and smile — well, that’s one more great example of where Westport meets the world. FUN FACT: Mia Farrow has her own claim to fame: In 1966, when she was 21 and Frank Sinatra was 50, they spent time on his yacht, anchored off Compo Beach. Their marriage lasted 2 years. 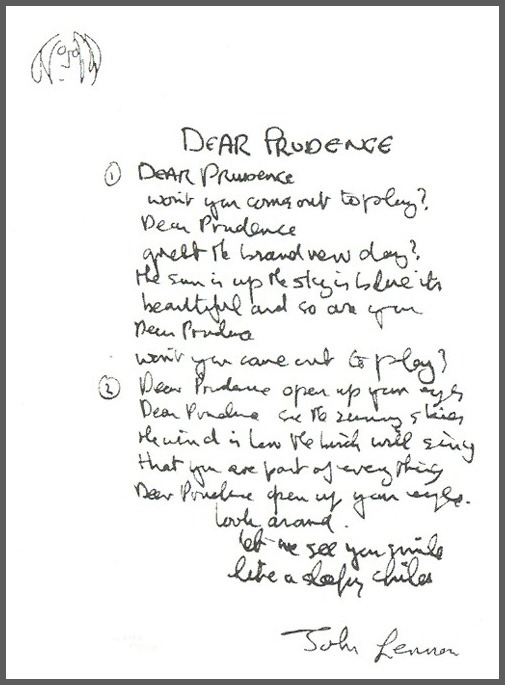 This entry was posted in Entertainment, History, Looking back, People, religion and tagged "Dear Prudence", Maharishi Mahesh Yogi, Maureen O'Sullivan, Mia Farrow, Prudence Farrow, the Beatles. Bookmark the permalink. I remember the Farrow kids. I was a sophomore at Staples in 1964. Wasn’t aware of drugs but there was plenty of alcohol at parties. It was rumored about The Beatles visit with Murray the K. We’d drive around trying to figure out where he lived. I believe that was the summer of 1965. That was the beauty of Westport…famous folks could come & go and shop on Main Street and have a life. We’d just view them from the corner of our eye…it wasn’t cool to stare or make a fuss. Their kids went to public school with us…nothing special. I doubt that the Beatles made it out here but I suppose it’s possible. PS—of course, we do know for a fact that the Beatles spent some time hanging out with two Westporters in the summer of ‘66😏. 1969 – Butterflies Are Free (World Premiere) with Keir Dullea, Blythe Danner. 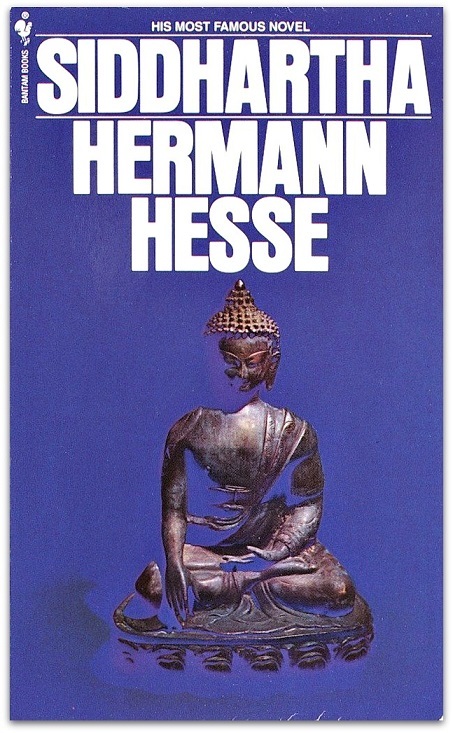 The play transferred to Broadway, with Eileen Heckart replacing Ms. O’Sullivan in the role of the mother. Arnie Kaye’s house years later I believe. A famous nighttime burglar met his demise there.. I was a 1964 graduate of Staples, and John Farrow was in my class. Prudence (or Prudie, as we called her then) was a year behind. John was a redhead, and Prudie was a brunette, with a pixie cut. They were beguiling, and I did “hang out” once at their home on Easton Road. I believe that their mother was rehearsing for “The Subject was Roses” at the time. I’d guess you didn’t really mean the people helped themselves to “food and sofas,” but, heck, in a way, they did. I never met Prudence but Stephanie and a younger sister not in the family picture, Tisa, were at Long Lots Junior High when I was in attendance. Hah! Sodas. And probably spots on the sofas too. Thanks, Peter! Me and Kim Kennedy waited for the Beatles at the woods Wakeman Place next to the Flomanhoffs [ they had a mansion] house on Ridge Drive. We never saw them but were assured that they showed up in their Limo later. I’m sure they may have come, we did have a curfew back when we were thirteen or so , and they may have not have come!! We don’t know. Part of the mystery of Westport back then, so much fun!!! What a great Westport story. I love the White Album and know every lyric and tune on that the album. The young Prudence looks like a cross between Joni Mitchell and Barbara Hershey– beauties of the day back then. Pretty natural. Love it. If I’m not mistaken the house that stood there back in the 60’s was entirely different. It was a beautiful big white New England type house. It was the Pettygrove residence. I have tried to find pictures but to no avail. If anyone has any info on that please share. It might have looked somewhat different back then—at least in terms of the roof. Prudence described it as “an old English manor-style home.” But it was the home built by Godowsky and Gershwin. The house went up for sale a few years ago and ended up at auction, selling for far less than its former worth. I hope the new owner didn’t demo it. Its colorful history was worth keeping and celebrating. Anyone know if the house is still alive and well? Johnny Farrow and his girlfriend, my friend Tina Montemora, once brought then very young pianist Peter Serkin to my home at 28 Roseville Road.